Empire of the Moghul the serpent’s tooth by Alex Rutherford is a great historical Bangla translation book. The story of this book is a historical real story. In this story, it is compared the serpent’s tooth as the son of Emperor Shah Jahan. The new Moghul emperor named ‘Shah Jahan’ was a wealthy empire of reigns. The reign of Sha Jahan dawns time, now it is the time for Shah Jahan to secure for protecting his throne from crushing his enemies. But, when his beautiful wife Mumtaz died, he becomes obsessed and he built an epic monument to their perfect love The Taj Mahal. This is the most powerful, great and epic series of novels about the ruthless warrior emperors who ruled more central Asia from the sixteenth and seventeenth centuries. The story was started from the ruthless and warrior things. So, the Moghul emperors were bloodthirsty and entirely ruthless. The Moghul reign, they have control about a quarter of the world’s population and they have the plenty of wealth beyond imagination. But, this was the final of this doomed empire and that time the emperor was Shah Jahan. 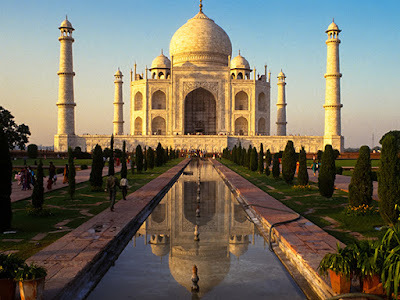 When his wife dead he becomes obsesses over the Taj Majal on her monument. At that time, his son Aurangzeb was planning to take his father’s throne by any means and it was totally unknown to Shah Jahan. However, If you know the history of Empire of the Moghul, then you should download this book which is based on that empire. 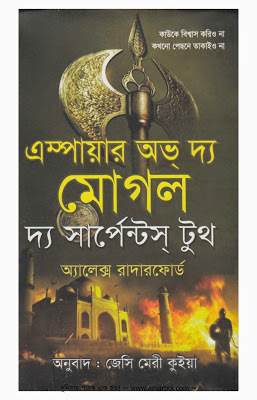 If you want to download the Bangla translated ebook named Empire of the Moghul the serpent’s tooth by Alex Rutherford you are required to click here!